Jacob, age 11, is a kid that has many different tastes and is not afraid of embracing them. He has a healthy appetite and likes to eat just about everything that is served on his plate! Jacob is very athletic and likes to ride his bike and plays all sports including soccer, basketball and football. 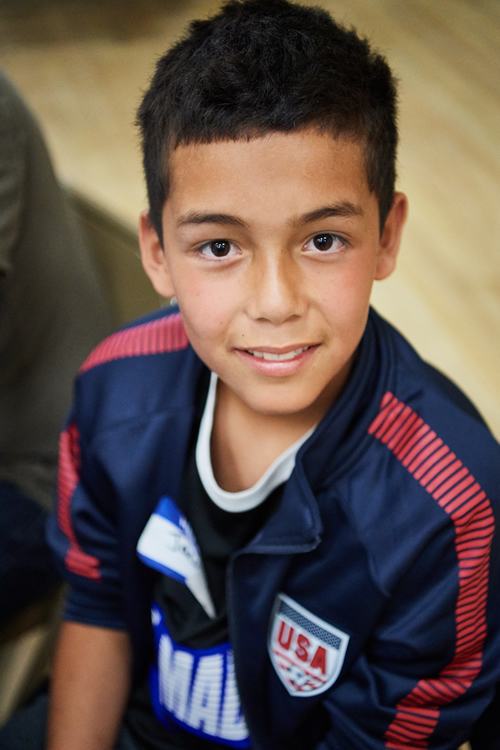 He proudly wears a Real Madrid jersey while unabashedly stating that his favorite soccer player is Lionel Messi. Outside of the field, Jacob is good-natured. While soft-spoken and thoughtful, he possesses a great talent for being witty and funny. Like many kids his age he likes Hip-Hop and Rap and likes to play the latest video games with his friends. He has sibling visits with his three brothers every other month and would like to be adopted by a family that is open to maintaining his sibling connection and visits. Jacob will thrive in a family that can provide him with unconditional love and support. Help Jacob find a family, share his Advocacy Flyer.